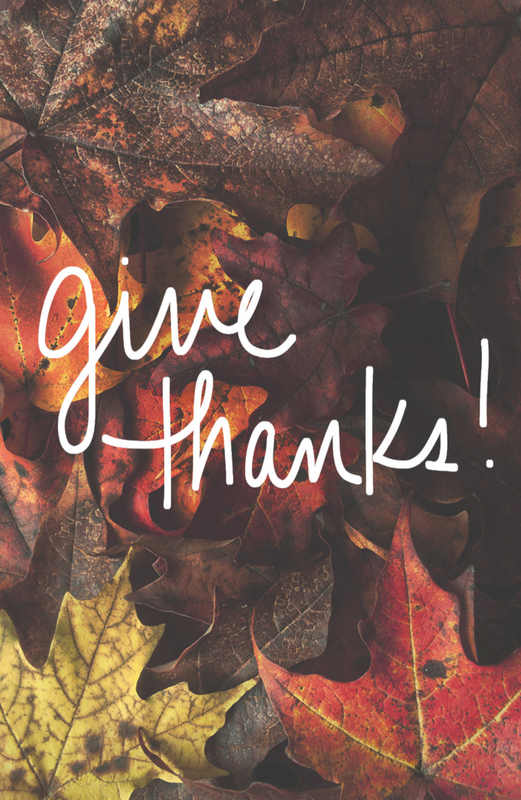 With economic distress and life’s hardships getting in the way, it can be difficult to feel truly “thankful”. But the Bible shows that even in hard times, we all have reasons to give thanks to God. Why Is Being Thankful So Hard? Life is hard. It may be that way because of unemployment, serious illness, or the death of a loved one. For many of us it’s the sting of financial loss. Maybe you’re distraught over a relative serving in a war zone. And even if you’re not affected by anything like that today, hardship comes to everyone sooner or later. No wonder thankfulness doesn’t come naturally! Yet thankfulness is an impor­tant part of life. In fact, it’s so important that those who refuse to honor God with gratitude destroy their own hearts. Con­cerning them, the Bible says, “they did not honor him as God or give thanks to him, but they became futile in their thinking, and their foolish hearts were darkened” (Romans 1:21). We routinely take significant things for granted such as the air we breathe and the ability to breathe it. The Bible says, “The God who made the world and everything in it . . . gives to all mankind life and breath and everything” (Acts 17:24–25). How long has it been since you thanked God for the ingenious life-support system you live by? And that points back to a bigger problem. The very first generation of humankind rebelled against God and passed on that rebellion to every following gen­eration: “All have sinned and fall short of the glory of God” (Romans 3:23). Sin taints everything we do and condemns us to eternity apart from God. God never desired for humankind to be crushed under the weight of sin. Yet for God’s justice to be met, the penalty of our sins had to be fully paid. Our situation would be hopeless if Jesus Christ hadn’t stepped in to pay the penalty for us. God’s perfect Son became a human to do just that: “God shows his love for us in that while we were still sinners, Christ died for us” (Romans 5:8). God accepted Christ’s death in payment for our sin debt. And because of Christ’s resurrection three days later, those who believe in him can be as­sured of life with God in heaven after death. Jesus promised them, “Because I live, you also will live” (John 14:19). The way to God is clear. Jesus said, “I am the way. . . . No one comes to the Father except through me” (John 14:6). “Everyone who believes in him receives forgiveness of sins through his name” (Acts 10:43). The offer of forgiveness is an abso­lutely free gift: “It is the gift of God, not a result of works” (Ephesians 2:8–9). It’s made possible by believing that Christ died in our place. Now That’s Something to Be Thankful For! Imagine being ungrateful for such an amazing gift and rejecting it! If you don’t accept God’s offer, if you don’t appreciate his love, then what will you say to him on judgment day? “It is appointed for man to die once, and after that comes judg­ment” (Hebrews 9:27). How do you expect God to respond to you if you never accepted his amazing offer of salvation, made possible by the greatest sacrifice ever? Dear God, I’m sorry for living my own way and ignor­ing your gracious offer of forgiveness. I now believe that Jesus died to pay the debt of my sins. I don’t de­serve it, but thank you for forgiving me and giving me eternal life. Thank you for making it possible for me to start a relationship with you that will last forever. And thank you for your love for me. Amen. The God “who did not spare his own Son but gave him up for us all” (Romans 8:32) wants to help you face all your difficulties—beginning the moment you place your trust in him for salvation. In a world with so much hardship and pain, that’s definitely something to be thankful for!